WAC at the Peoples Social Forum! 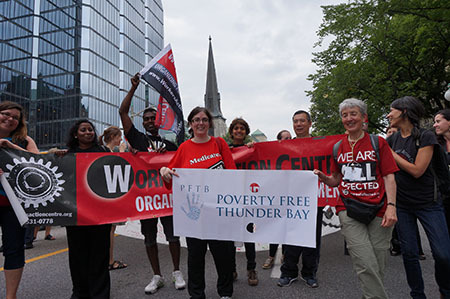 On August 21-24, WAC joined thousands of people from across Canada at the Peoples Social Forum in Ottawa. We traveled to Ottawa with a team of WAC member leaders who were eager to participate in the over 500 workshops that took place! 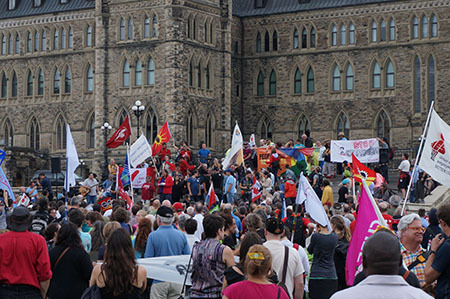 The Peoples Social Forum began with a powerful march to Parliament Hill uniting our many fights for justice. 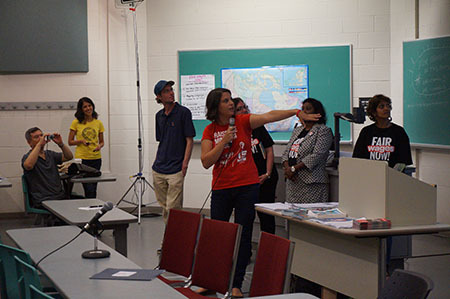 It was a great chance to meet up with many friends and allies from across Ontario! 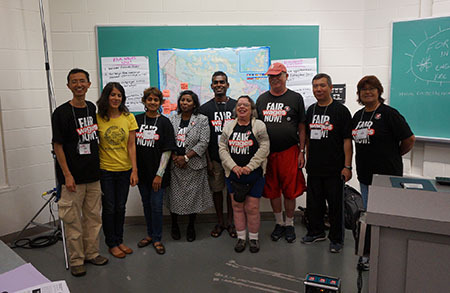 WAC members helped to lead a workshop on building campaigns for fair wages where we connected with activists and community members from across Ontario, and from Quebec, Alberta and BC. 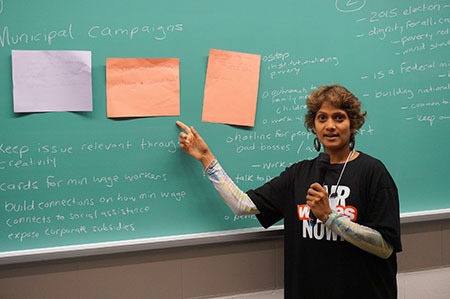 Together we mapped out organizing for fair wages across Canada and brainstormed steps to continue working together. 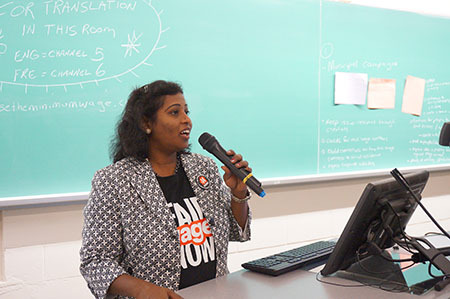 It was really great to have organizers from The Campaign to Raise the Minimum Wage Guelph and Poverty Free Thunder Bay share their experiences of organizing for a $14 minimum wage in their communities. We left the Peoples Social Forum inspired and motivated, knowing we are part of a bigger movement fighting for a better world! Are you working on a minimum wage campaign in another province? Get in touch with the Campaign to Raise the Minimum Wage! We are looking for opportunities to stay connected and share resources.